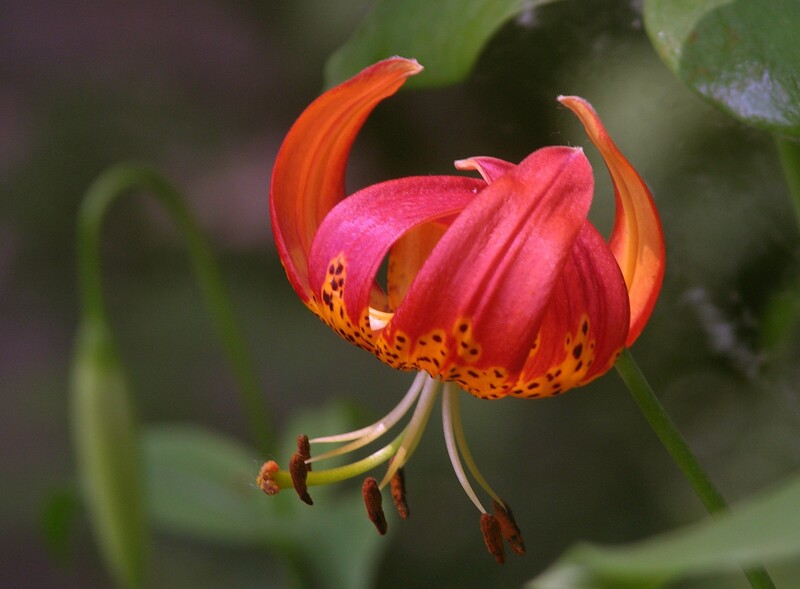 A beautiful lily with early summer flowers of red and orange, spotted with purple. 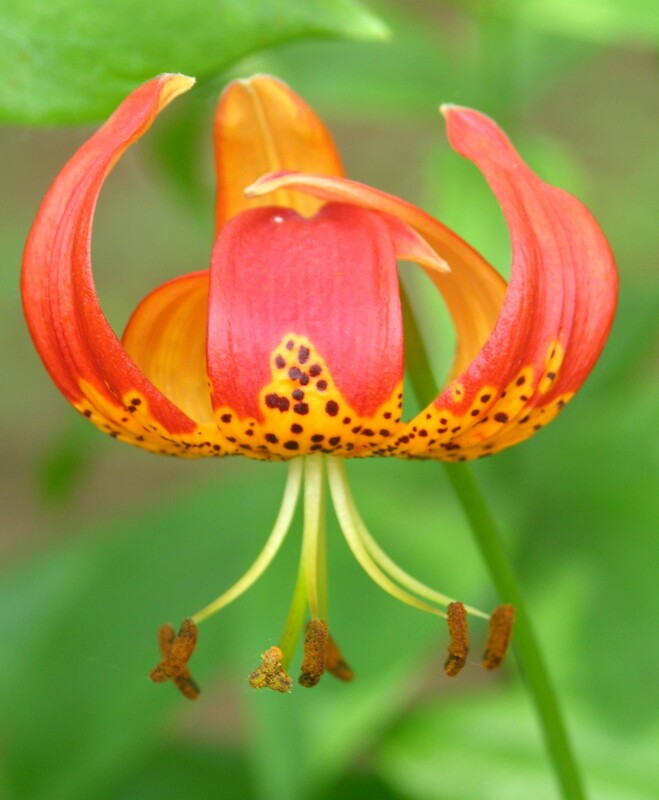 Often as many as ten pendant flowers grace each stem. 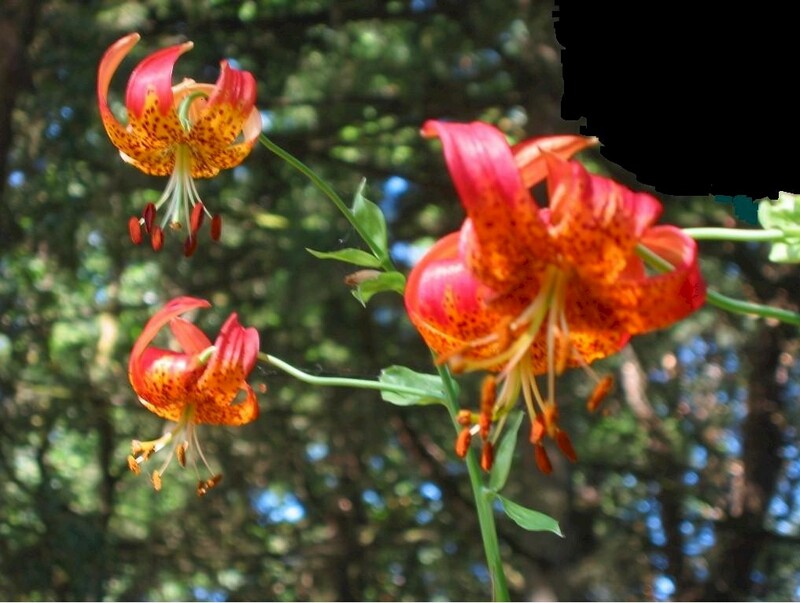 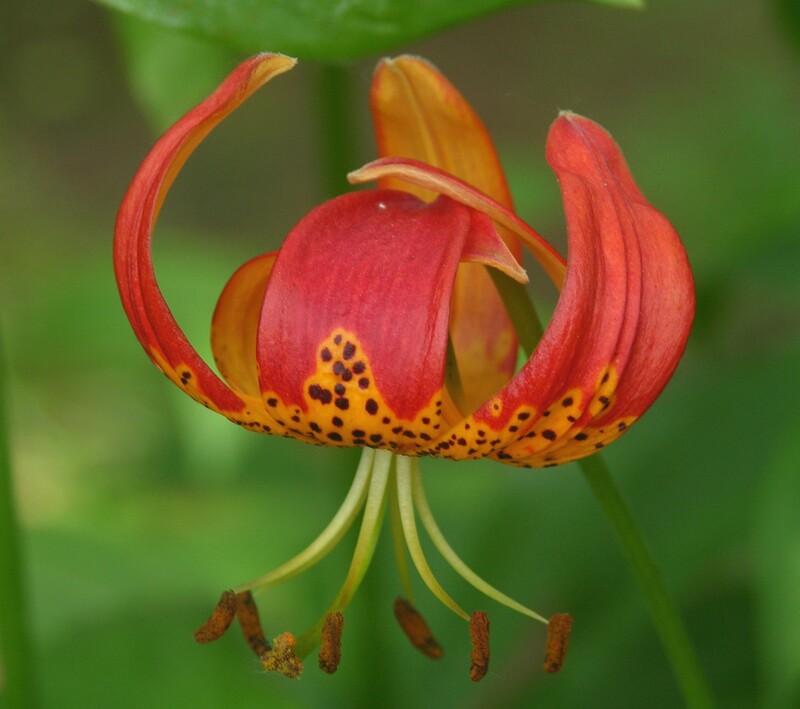 This lily is native to wet meadows and the edges of streams along the coastal regions of the northwest, USDA 5-9. 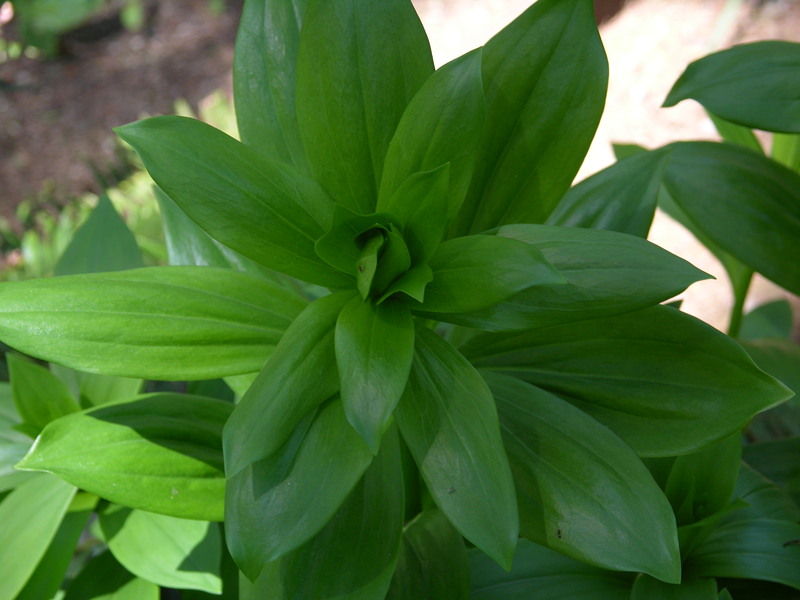 In the garden it needs regular water. 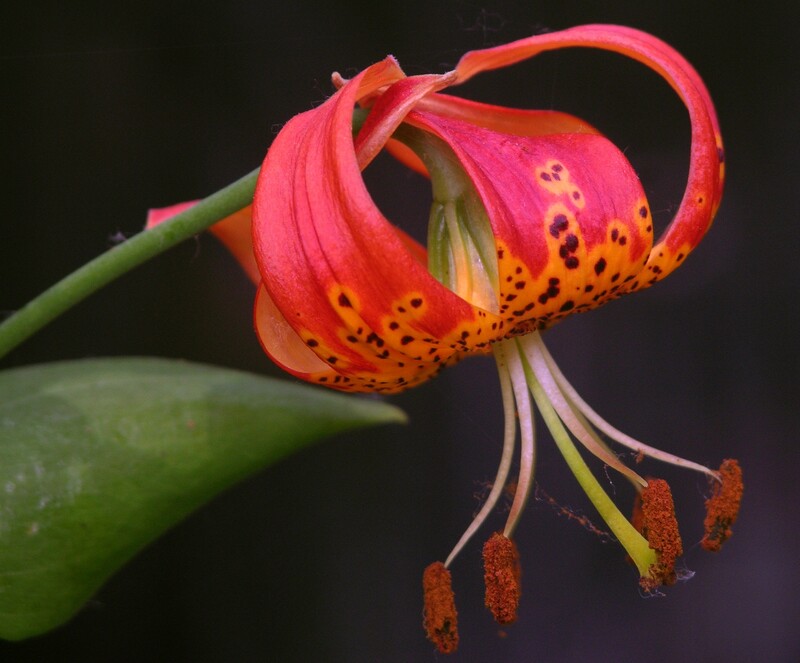 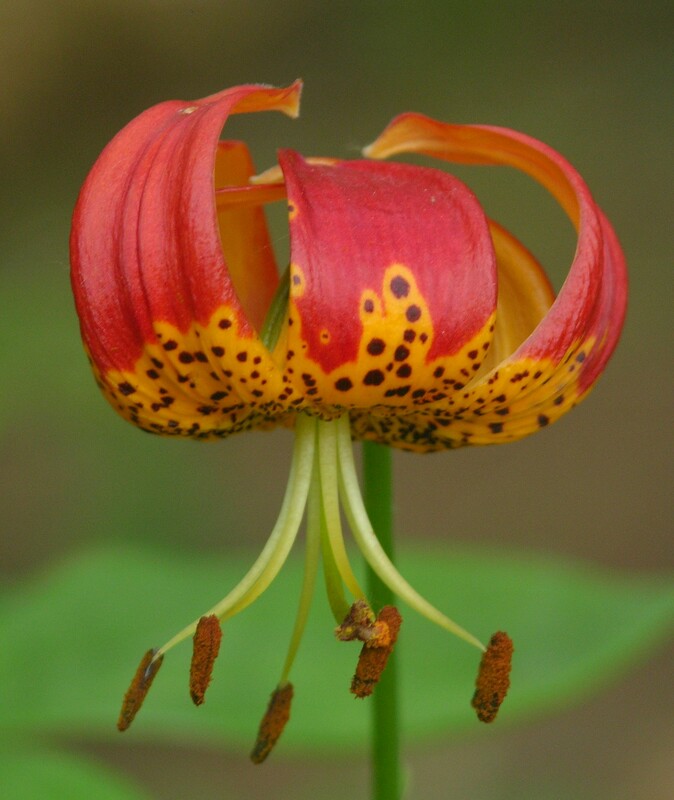 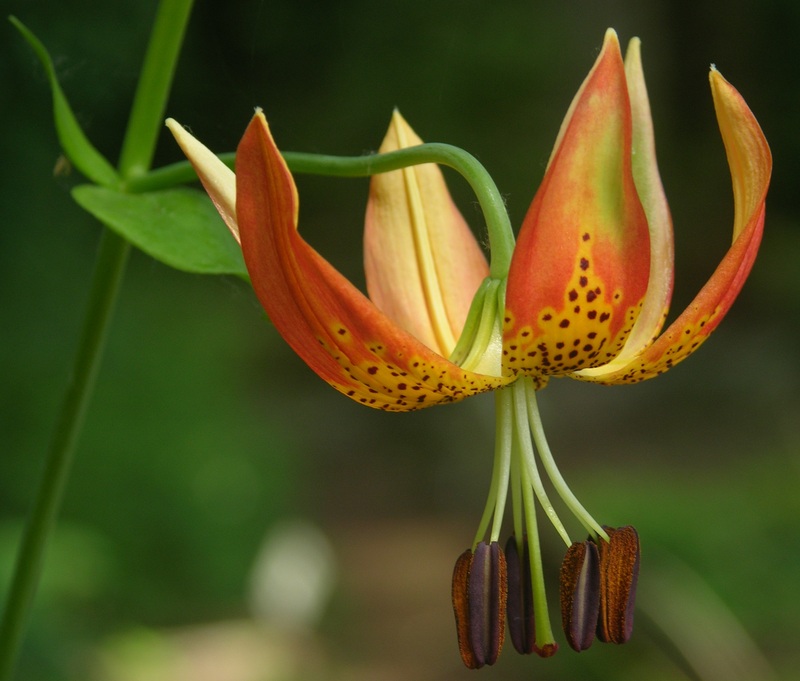 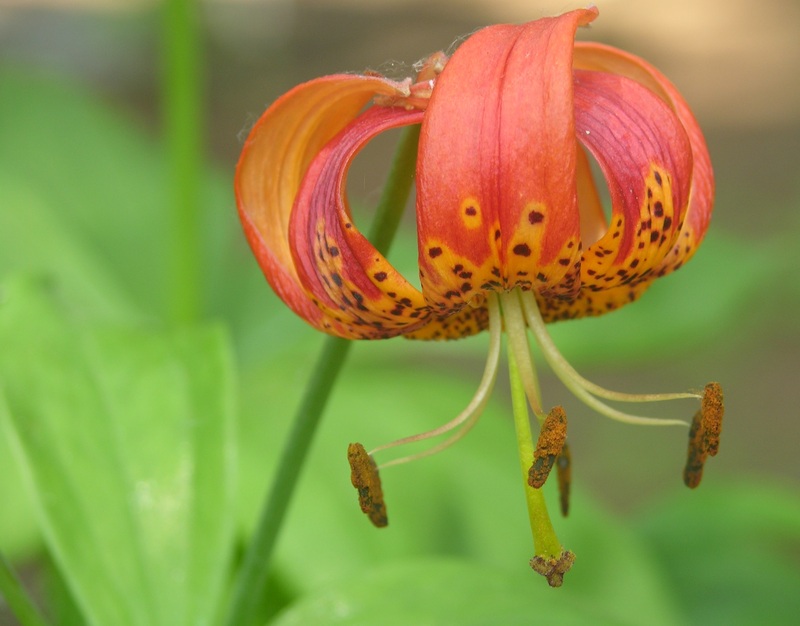 Leopard Lilies are extremely resilient to diseases and pests. 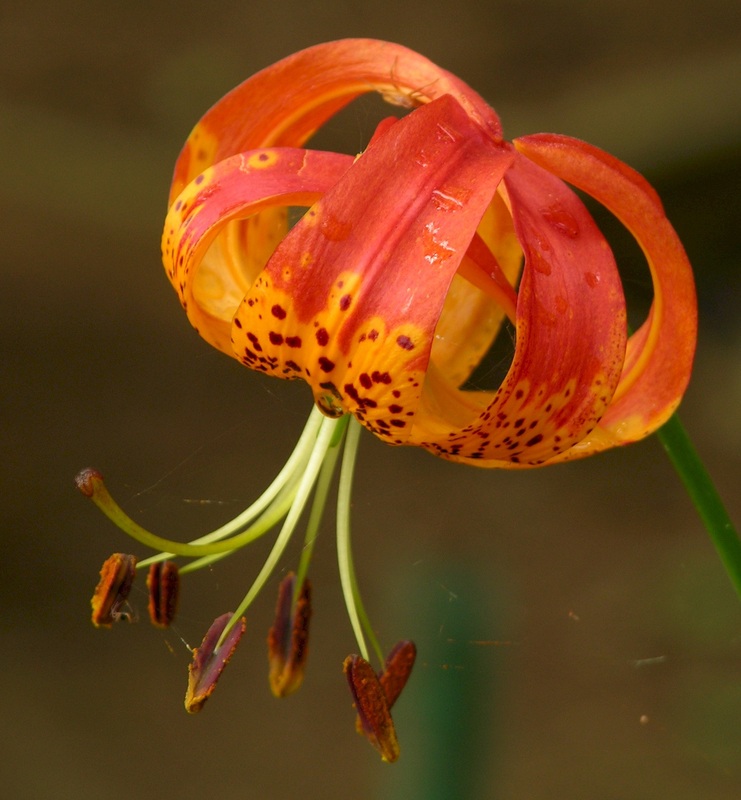 This lily does not appreciate being transplanted: choose your planting site carefully, considering the future expansion that will be required when this beauty takes hold and forms a large clump.